Making new succulents from cutting really couldn't be easier. It's pretty common to be afraid to chop at your plants and why wouldn't you be? You look after your plants, make sure they are happy and now you are expected to hack pieces off them? It's kind of counter-intuitive! 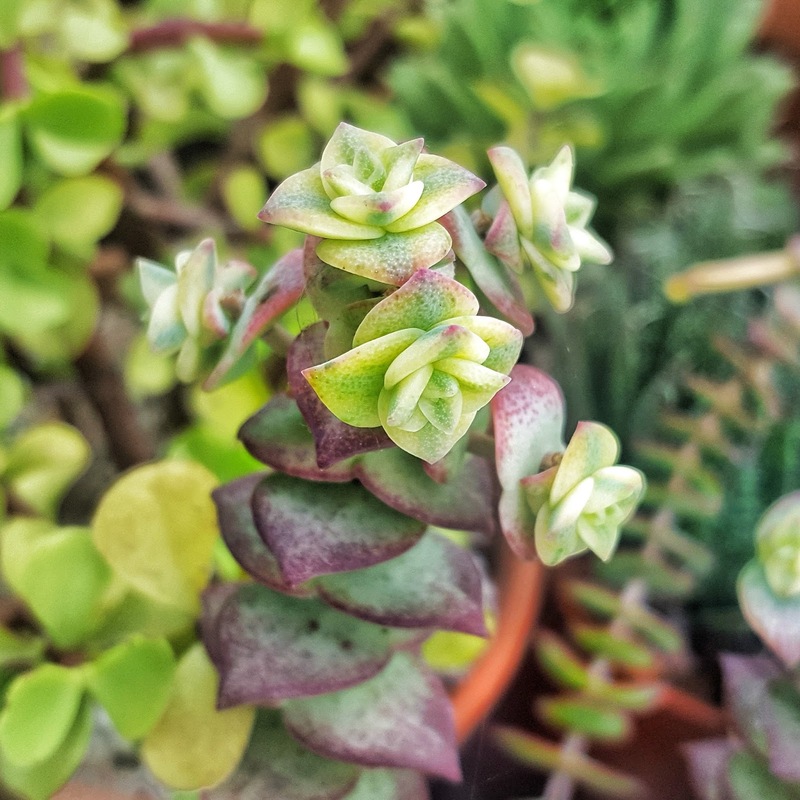 The good news if you love plants is that taking cuttings doesn't just produce one new succulent, it often make many more and can be a great way to bush out your plants. 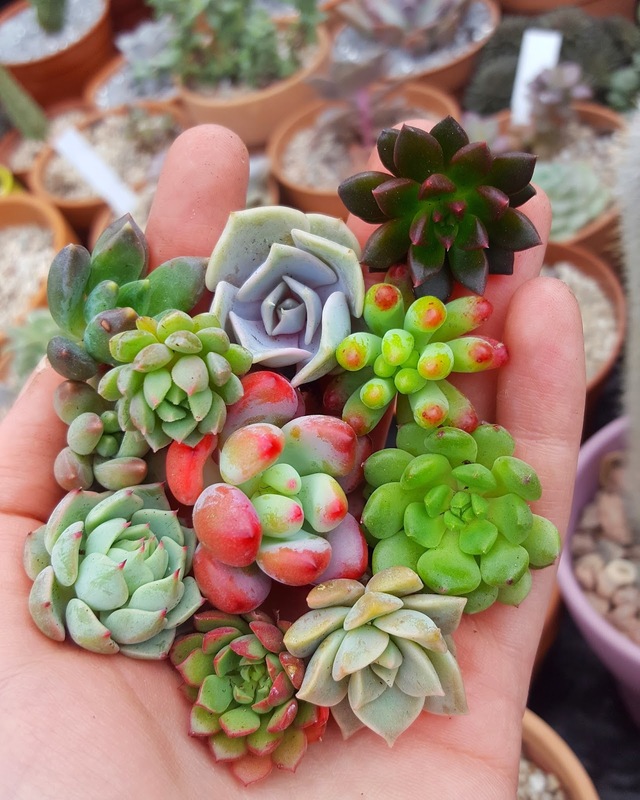 Fist things first you need your cutting, as you can see from my photo I take cuttings from a wide range of succulents. 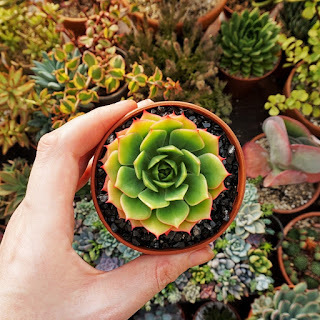 If they are rosette succulents like about you just your cutting by cutting the stem below the rosette. If they aren't rosettes like the crassula succulent below for example you can cut at any point along the stem. Once you have your cutting set it aside for a few days until the end of the stem where you cut scabs over and heals. Then all you have to do is stick it in soil and wait for roots. I usually give them a little bit of water after about a week as I find that this can encourage roots to form. You will know when your cutting is rooted by giving it a gentle tug, if there is resistance you have roots forming! 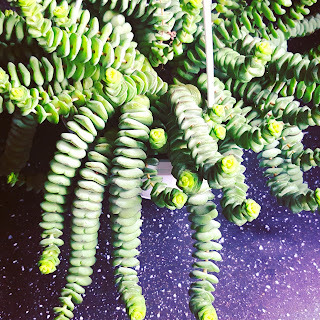 Once your cutting is rooted you then treat it just like you would any other succulent plant. Now back to those many more succulents I talked about at the beginning of this tutorial. One of my most favourite things about succulents is their ability to propagate and thrive during times of hardship. 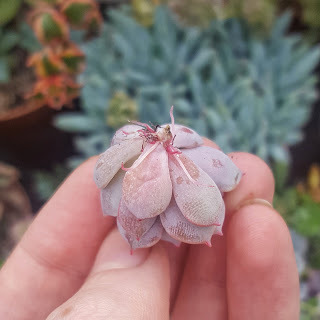 This is evident when you take a cutting from a succulent. A few weeks after taking your cutting your should see new little plants forming on the stem of the plant at the place you originally cut it. If you would like to grow some succulents of your own but don't have any cuttings or would just like some more variety you can buy my propagation packs here.